For over 30 years, Carol has been exploring the multi-dimensional facets of the physical body. Since 1982, she has enjoyed an active practice in Rolfing® Structural Integration and Rolfing Movement® Integration. The Fabric of Wholeness (2001) explores somatic intelligence in the field of gravity. Continued inquiry into perception, touch and the dynamic interplay of the individual within their environment, continue to fuel her lifelong commitment to learning. As a devoted student of embryology and craniosacral therapy, her sensory understanding of the body as both movement and manifestation of consciousness is key. Carol teaches Rolfing SI, Rolfing Movement Integration and Biodynamic Craniosacral Therapy nationally and internationally, creating curriculums and approaches which tap the unseen talent of students. Duffy Allen has been a member of the Basic Faculty at DIRI since 2005. She began her studies in the anatomy of the head, neck and thorax while still an undergraduate in the 1980's. Since becoming a Rolfer, she has continued to be intrigued by the interplay of the musculoskeletal system with other systems of the body. When teaching, she is committed to transmitting the work in a way that lends itself to integration into both the students personal embodiment as well as their practice. Valerie Berg trained in 87 with Peter Melchior and Nicholas French. She is a big proponent of teaching the classical ten series to beginning students, as this is where a lot of our thinking and development occurs that takes us deeper into the work. The nuances and advanced work comes later developing out of knowing the territory of the ten series work. She worked in Guatemala for 5 years in the 90s and was exposed to the trauma of war and violence thus began studying Peter Levine’s trauma work. Valerie is also very interested in cultural and worldview influences on our structure and function. 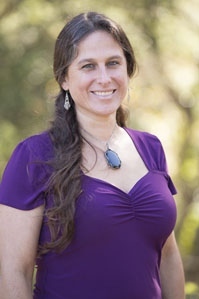 She has been teaching Rolfing SI for 11 years and received her Bachelors degree in Education and dance She is also a Rolf Movement Practitioner trained by Hubert Godard. She continues to study Visceral, and Neural work as a component of her practice. She has been practicing in New Mexico for 26 years Tango dancing, yoga, hiking, sculling and kayaking keep her moving and interested in the vitality of our bodies continuing through the changes of the years. Her focus over the last 6 years has been developing ways of working with Structural Aging. Tessy Brungardt received her BA in Environmental Biology in 1976 from New College in Sarasota, FL. In her studies and career afterwards, she enjoyed exploring the interface of observing the natural world and the the science of how things worked. Once she was introduced to Rolfing® Structural Integration in 1979, she was inspired to take this exploration into the human realm. She became a Certified Rolfer™ in 1985 and a Certified Advanced Rolfer in 1988. Tessy completed her Rolf Movement® Certification in 1994. She also became certified to teach for the Rolf Institute in 1994 and became an Advanced Instructor for the Rolf Institute in 2002. Rebecca Carli became interested in somatic movement studies while pursuing B.A. and M.F.A. degrees in dance performance and choreography. She earned certification in Rolf Movement Integration in 1987 with Janie French and Annie Duggan. In 1989, she became a Certified Rolfer and in 1992, a Certified Advanced Rolfer. In 1994, Rebecca graduated from the Pennsylvania Gestalt Center for Psychotherapy and Training and joined the Rolf Movement faculty of The Rolf Institute. Rebecca’s understanding of gravity and human movement potential has been enriched by her long time studies with Hubert Godard. Godard’s work provides the chief theoretical and practical foundation that inspires her teaching. Additionally, she draws from her interest in the work of Laban/Bartineff, Charlotte Selver, Julio Horvath and various forms of yoga. Rebecca believes that embodiment is a life long process, essential for somatic practitioners. Rebecca is a past Chairperson of the Rolf Movement faculty and ISMETA board representative. She teaches a variety of somatic movement courses at several universities. Currently, Rebecca lives in the Washington D.C. area, where she maintains an active practice in Rolfing SI and Rolf Movement Integration. Presently, her major challenge is “moving with ease and finding grace” while parenting two teen-age daughters. Libby Eason first experienced the transformative effects of Rolfing Structural Integration in 1975. She trained as a massage therapist in 1986, and practiced that profession for 12 years. In 1992, Libby graduated from the Rolf Institute. She completed her Rolf Movement certification in 1994, and advanced training in 1997. She became an assistant instructor in 1998, and became a faculty member in 2005. Libby continues to explore the continuum of Structure - Function - Energy as it applies to the art of Structural and Movement Integration. She serves on the Board of Directors of the International Association of Structural Integrators® as the Chair of Law and Legislation. In that capacity, Libby is active in legislative matters in efforts to preserve the distinct identity of the profession of Structural Integration. Kevin Frank is a Certified Advanced Rolfer™, Rolf Movement® Practitioner and Rolf Movement® Instructor at RISI. He has worked with the Godard-derived Tonic Function Model since 1991 and has written on this topic from 1995 to the present. Kevin views structural integration as a form of somatic education, and advocates for an “information system” view for doing and teaching this work so as to bring the field of SI into congruence with modern understanding of motor control and perceptive/coordinative processes. Kevin is the co-author (with Caryn McHose) of the book, How Life Moves, Explorations in Meaning and Body Awareness (North Atlantic 2006). Sally Klemm is an internationally recognized Rolf Institute instructor who teaches worldwide while maintaining a private practice in Honolulu, Hawaii. Native of Berkeley, California, Sally is a graduate of UC Berkeley’s College of Letters and Science. After a 4-year sailing voyage around the world, Sally was introduced to Rolfing Structural Integration by Stacey Mills, who convinced her to stop trimming sails and start aligning bodies. Having followed Stacey’s good counsel, Sally has called Honolulu home since 1983, where her private practice includes the Hawaiian Healing Arts and Visionary Craniosacral Work©, as well as Rolfing Structural and Movement Integration. Sally’s extraordinary ability to blend an organized cognitive style with deeply intuitive understanding reflects her fascination with the unity of the psyche and the soma. Sally joined the Rolf Institute Faculty in 1995. Larry Koliha started his career in bodywork in the mid-90s, training in various types of energetic bodywork and attending college classes in anatomy and physiology. Rolfing SI created such a meaningful shift in his own life, that he left his first career as a mechanical manufacturing engineer and immersed himself in the world of structural integration. Larry completed his basic training in 1999 with instructors Ray McCall and Liz Gaggini, and six years later, became an Advanced Rolfer under the tutelage of Jan Sultan, Tessy Brungardt, and Sally Klemm. He certified in Rolf Movement Integration with Lael Katherine Keen in Brazil. Other mentors who have strongly influenced his work include Rolfers Til Luchau and Jane Harrington. Larry’s teaching style comes from his corporate engineering background. Students appreciate his clear, knowledgeable, good-natured teaching style. Larry presents a simple, structured and fun approach to learning the classic basic ten-session recipe. Emphasis is placed on developing sustainable body use, appropriate touch and pacing, and the ability to incorporate movement work in each session. Larry was an avid trail runner and volleyball player in Colorado where he had his first Rolfing practice but now practices in the Raleigh/Durham area in North Carolina. Jonathan Martine was certified as a Rolfer™ in 1992 and completed his advanced Rolfing® certification in 1997. He is a Registered Movement Therapist, Rolf Movement® Teacher, Pilates Instructor and Rolf Institute® Faculty member since 1993. In addition, he has studied therapies that treat the fascial systems of the viscera (organs), neural (nerve) system, vascular structures and the cranium as well as movement rehabilitation from various sources. He has been in private practice since 1992. During this time he has practiced in Chiropractic offices, Physical Therapy clinics, a Pilates studio, a medical based pain management clinic, and various integrative health practices. This experience has offered a useful perspective on the vast potential of complementary approaches to health and personal transformation. He finds it valuable to see how Rolfing® and Structural Integration fit into the larger health field and identify the unique offering Rolfing® holds. Jonathan continues his study of Rolfing® and allied health fields to serve his clients and students and to share the "stories" that science holds. He is fascinated with these "stories" as they may clarify aspects of the mystery of transformation; while holding strong to the magic that occurs when the practitioner and client are present and aware of the environment in which we live. Ray McCall has 38 years experience as a Rolfer. As a DIRI Advanced faculty member he teaches basic, Advanced and Continuing Education classes both in the States and Abroad. His particular interest is the energetic taxonomy and how change occurs: how we more fully become and express who we are. Ray trained to instructor level in Biodynamic Craniosacral Therapy. Kevin is a faculty member of the Dr. Ida Rolf Institute. He trained under all six of Dr. Rolf's originally appointed faculty. He has enjoyed being a practitioner of the art and science known as Rolfing for over 30 years. Kevin is a licensed Physical Therapist and was employed by the Kessler Institute for Rehabilitation where he provided Rolfing to individuals in a chronic pain program. He served on the Dr. Ida Rolf - Board of Directors serving as the Board Chair for five years. 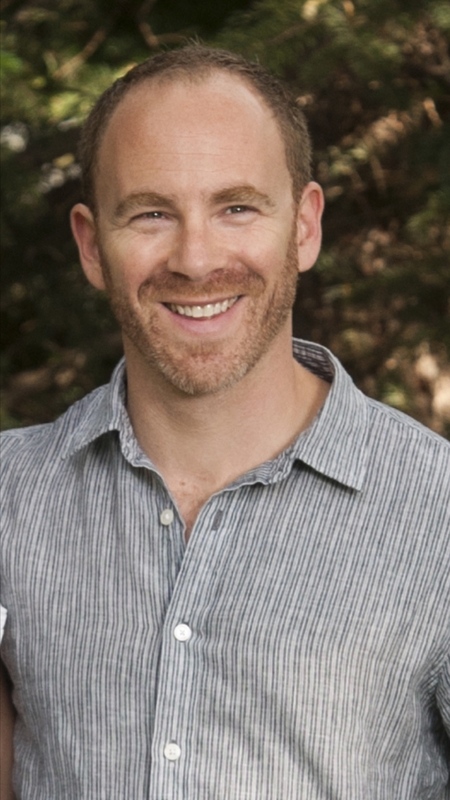 Kevin is passionate about Rolfing as a traditional and evolving healing art form. Patrice Naparstek trained as a Rolfer® in 1993, finishing her Advanced Training and her Movement Certification in 1998. Her interest in embodied and expressive movement has been the foundation for her study from the very beginning, including certification in Laban Movement Analysis, an MFA in performance and Choreography and a BA in Dance Movement Therapy. She has taught movement practices for 30 years in academic and community environments with the intention of uniting didactic information with an embodied sense of what it means to move. She currently works in Madison, WI where she is discovering that not everyone wants to fly over the mid-states. After almost 20 years of study, Michael Polon still has the same beginner’s excitement when it comes to exploring the art, science, theory, and practice of his work. Michael began studying at The Rolf Institute in 1998 and has been in the classroom ever since. He started teaching in 2001 and completed his first Advanced Training in 2003. Through consistent teaching and continuing education, Michael learns more about what's possible with this work each year. 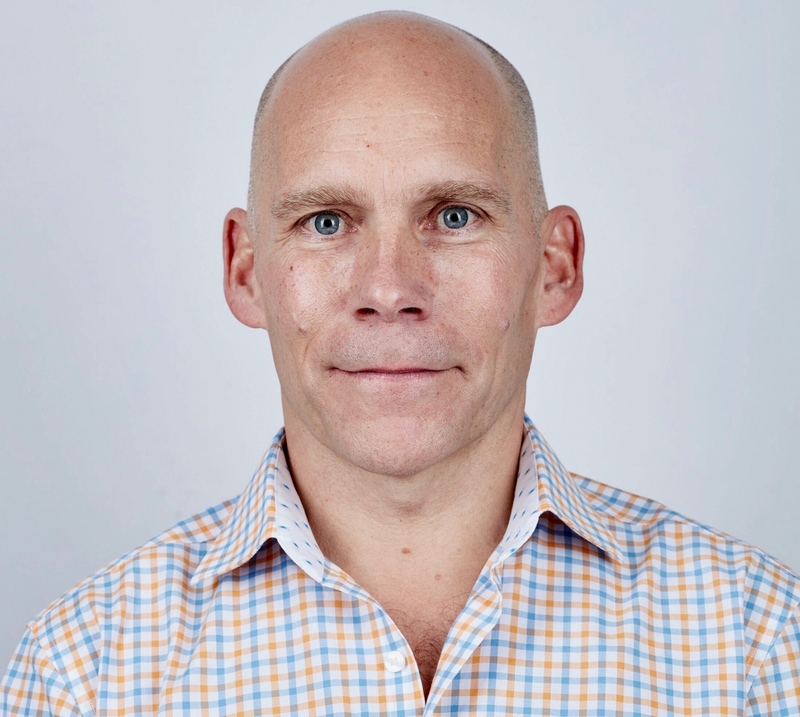 His enthusiastic curiosity of how things work fuels his passion for understanding how anatomy/physiology, movement/posture, pain, therapeutic alliance and healing potential come together with Rolfing. Michael Salveson was trained as a Rolfer™ by Dr. Ida P. Rolf in 1970. In 1972 he was asked by Dr. Rolf to assist her in training classes and was certified as a Rolfing® Instructor by Dr. Rolf in 1973. He has been in active practice in the San Francisco Bay Area for 38 years and an Instructor for the Rolf Institute’s Advanced Training for 22 years. Michael Salveson was Chairman of the Board of Directors of the Rolf Institute from 1976-1979 and President of the Rolf Institute from 1979 to 1982. Michael has been instrumental in developing theory and techniques useful in releasing restrictions in the body’s ligamentous-articular system. He has studied extensively in the traditions deriving from osteopathy and works closely with inherent motion in the body. He is a 20 year student of Taoist Chi Gung and an avid fly fisherman. 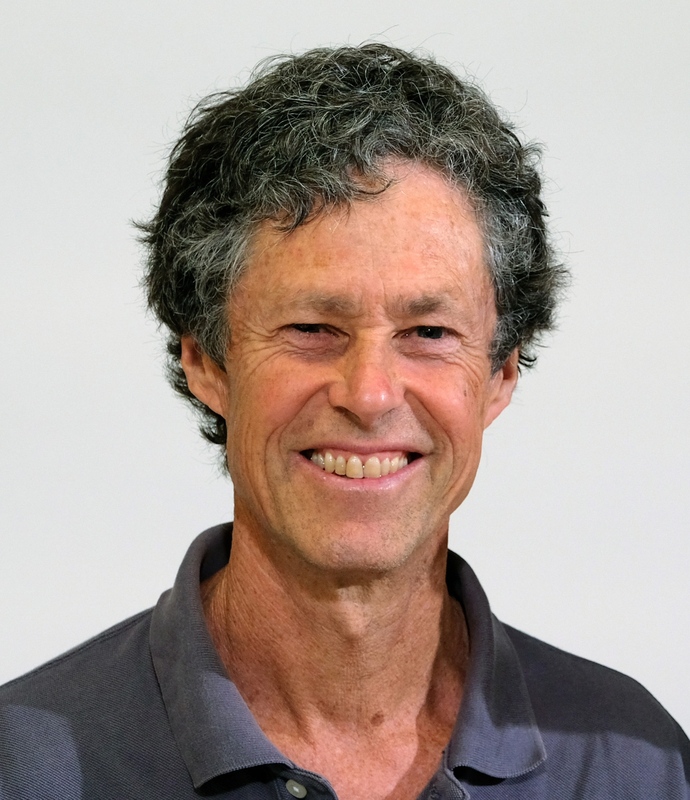 John Schewe has been a Certified Rolfer since 1987, completing his Advanced Rolfing Training in 1991. He taught anatomy and physiology, structural kinesiology, and deep tissue technique classes for the Blue Cliff School of Massage in Kenner, Louisiana from 1990-1996. John has been part of the Rolf Institute Anatomy Faculty since 1995 and is currently Chair of the Life Sciences Group at the Rolf Institute. 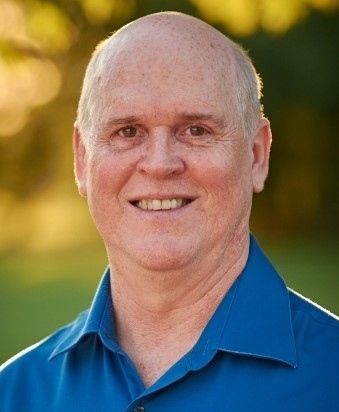 Though his academic background is in geology (MS, Louisiana State Univ., 1979), John has had a keen interest in the biological sciences as they pertain to bodywork in general and Rolfing Structural Integration in particular. He brings a fresh perspective to this material and his desire is to make the study of anatomy and physiology interesting, informative, and enjoyable. Russell Stolzoff has always been attuned to the beauty of integrated movement. He was first introduced to Rolfing® Structural Integration in 1983 as a classroom client while completing his BA at University of Colorado. The deep physical and psychological impact of that experience led him to pursue training as a Rolfer. He became a Certified Rolfer™ in 1989, and an Certified Advanced Rolfer™ in 1998. He completed his Rolf Movement® Certification in 2000, and became a Rolf Institute instructor in 2002. Russell has also completed extended studies in Somatic Experiencing and Biodynamic Analysis, a Danish method of body psychotherapy. Since 2010 Russell has worked extensively with professional athletes. He lives and practices in Bellingham, Washington. Jan Sultan’s initial encounter with Ida Rolf was in 1967 as her client. In 1969 he trained under her, and after having assisted several classes, was invited by Dr. Rolf to become an instructor in 1975. After further apprenticeship, Dr. Rolf invited him to take on the Advanced teaching. He currently teaches Basic Trainings, Continuing Education, and Advanced Trainings for the Rolf Institute. He feels strongly that his responsibility as an instructor goes beyond simply passing on what he was taught, to include the refinement and coherent development of the ideas and methodology taught by Ida Rolf. Jan lives in Northern New Mexico, and practices in Santa Fe, New Mexico. 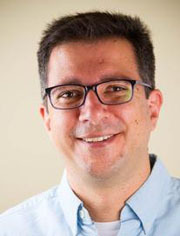 Juan David Vélez has been practicing as a Rolfer and Rolf Movement Practitioner since 1995, first in his native Colombia, and for the last ten years in Portland, Oregon. Juan David is guided by the belief that mastery is the place where logic, knowledge and intuition converge. As a practitioner he combines a rigorous scientific understanding of the discipline with an open-minded, intuitive approach. As a teacher, he builds a strong framework of the science, theory and philosophy of Rolfing Structural Integration, and encourages students to investigate and master these concepts through play and personal exploration. Juan David has a particular interest in neuroplasticity, the seemingly limitless ability of the brain to change the body, and to respond to the body by changing itself. In his spare time, Juan David enjoys painting and ecstatic dance, a good cup of tea and a serious game of chess. Thomas completed the Basic Rolfing training in 1987, the Advanced Rolfing Training in 1993 and has been on the faculty since 2004. He has extensive training in Biodynamic Craniosacral Therapy and integrates its subtle evoking with the direct contact of Rolfing SI. His main goal in class is to have every student be successful. Thomas creates a safe learning environment, helps students identify and enhance their learning and perceptual styles, teaches how inner process affects perception and how shifting inner awareness affects tissue response. He enjoys teaching students how to integrate the body’s innate self ordering as expressed through inherent motion into the touch skills necessary to accomplish the goals of the Rolfing process. He lives, practices, skis, bikes, and plays in Steamboat Springs, CO.
Bethany Ward completed basic training with Jim Asher, advanced work with Jan Sultan and Tessy Brungardt, and movement certification with Lael Katherine Keen. Bethany loves learning – both as a lifetime student and as an instructor. She is deeply indebted to her mentors Duffy Allen, Til Luchau, and Ray McCall. As an instructor, Bethany is adept at making complex ideas understandable and speaking to a variety of learning styles – skills gained from a background in academia and business. After graduating from the NC School of Science and Mathematics, Bethany received a BA in psychology and an MBA. She discovered her passion for teaching when Kaplan Inc. hired her to raise students’ scores on graduate entrance exams. Bethany traded life in corporate America for "a chance to work one-on-one with people, helping them find solutions for themselves" and never looked back. Bethany’s private practice is ActionPotential, Inc., (www.rolfusa.com) in Durham, NC. 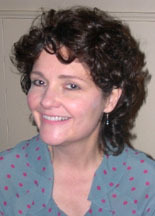 Bethany is Past-President of the Ida P. Rolf Research Foundation and enjoys writing for various bodywork publications.